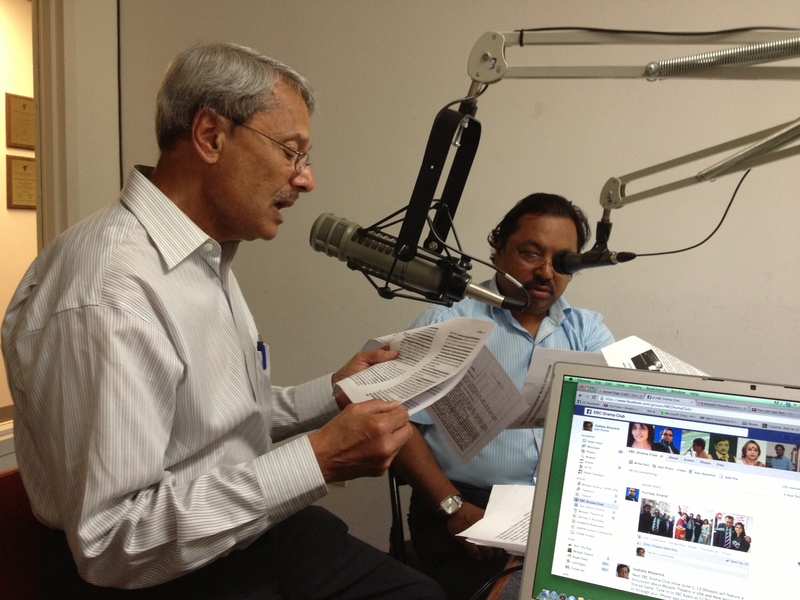 Sharad Sathe, a playwright and director of Marathi Theatre in New Jersey , was at the EBC Radio studio on June 1, 2013 as my guest to the EBC Drama Club show. He was accompanied by one of his actors, Sreeram Devre. We had an long chat on Marathi Theatre, its history, its evolution and the state of Mararthi Theatre in New Jersey and North America in general. Sharad talked about his inspiration in translating and adapting western plays for the Marathi stage and the challenges he had to face in staging Marathi Theatre in USA. During the conversation, he and Sreeram also read few snippets from some of his plays. But before we started the conversation, we remembered the recently departed film maker Rituparno Ghosh by listening to a clip from his film “The Last Lear” where Amitabh Bachhan recites from the play “King Lear” by William Shakespeare. The audio podcast of the entire conversation is given below.